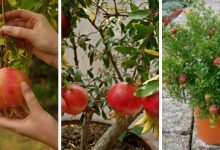 Having a moveable garden comes with a lot of benefits for you and your plants. First, they allow you to have control over certain growth requirements of your plants such as sunlight exposure. When your plants are grown in a moveable garden, you can move them to shade or to sun whenever you want. Thus, you control how much sunlight they can get. Second, moveable gardens are beautiful and decorative. 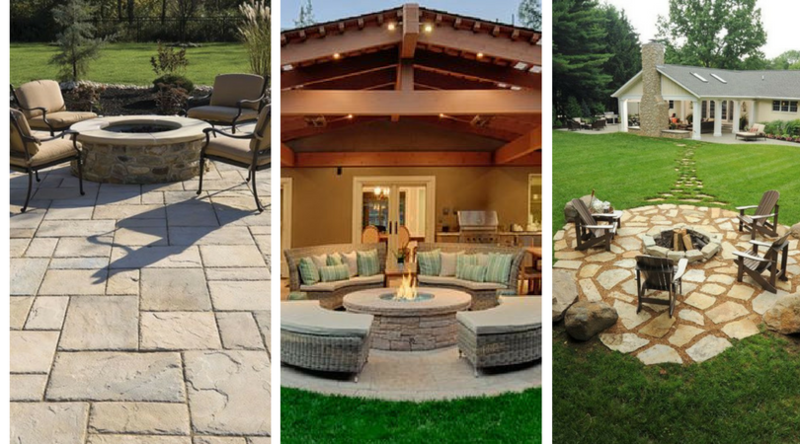 They will certainly make your outdoor space much more attractive. 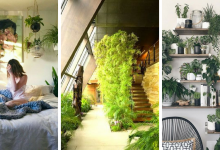 In this post, we gathered 22 attractive DIY mobile garden ideas that you will definitely find pleasant, scroll down and take a look at them. 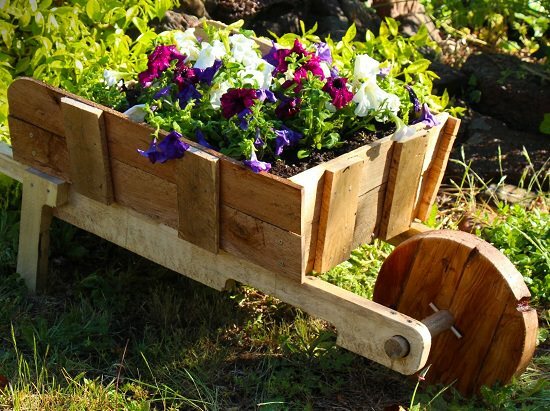 Adding wheels to a wooden planter is one of the easiest ways to have a mobile garden. 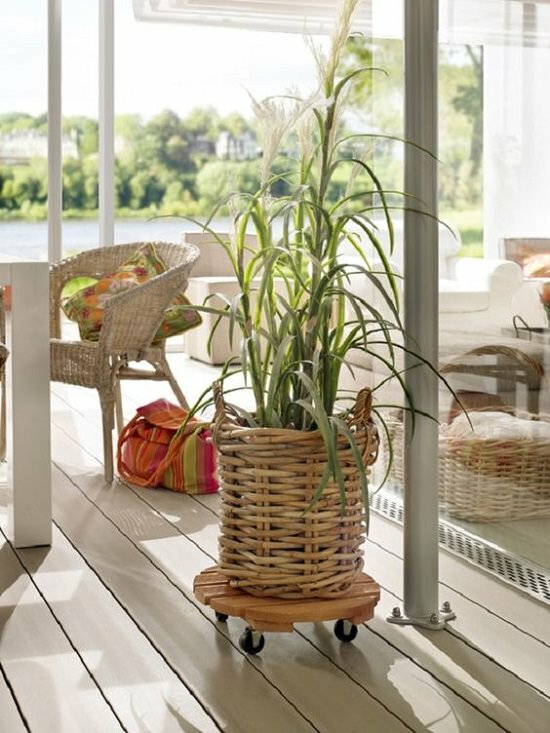 The best thing about wooden planters is that they can be painted in any color. Choose what color fits your outdoor or indoor best. 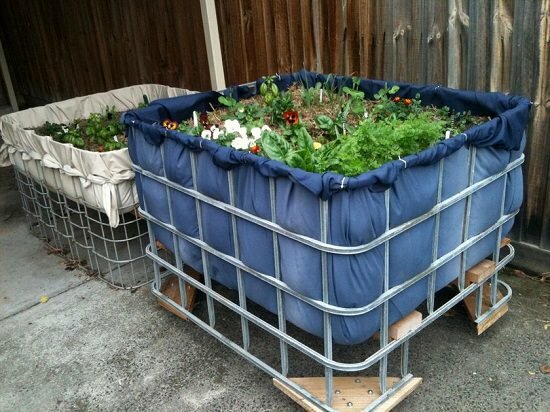 You will need cages, casters, scrap wood, some outdoor fabric to build this mobile planter. 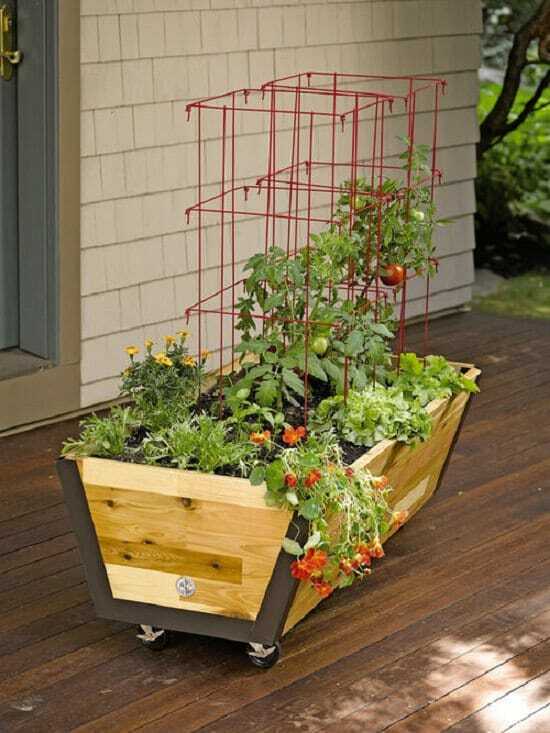 This planter is perfect for growing edible plants such as lettuce, carrots, and spinach. Visit Instructables to get the full tutorial for building this planter. With some wood offcuts, you can build this practical moveable planter. 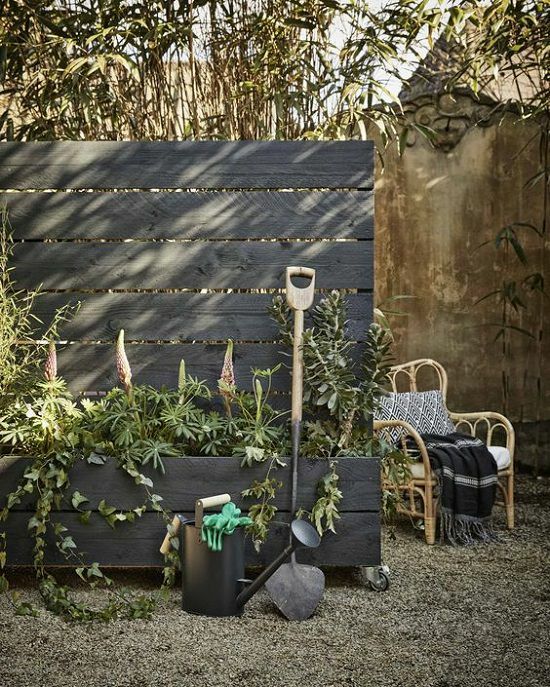 This planter will allow you to move your plants to different spots in your garden that suits their growth requirements in terms of shades and sun. If you are interested in this planter, see how you can build it here. 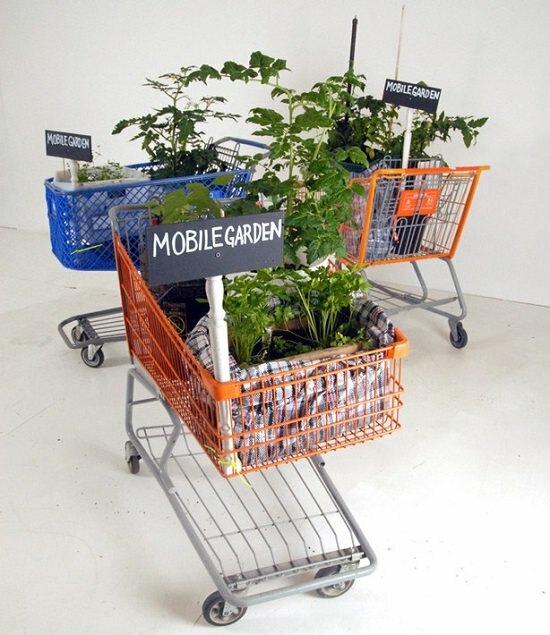 This is one of the most creative DIY mobile garden ideas. Besides being moveable, it contains a trellis to support climbing and vine plants such as tomatoes. If you want to build this amazing mobile raised bed, check out this guide. This moveable small planter is very cute and decorative. It will be a nice addition to your balcony, yard or porch. You can either choose to grow edible plants or decorative plants in it. Besides, it is easy to build. The Bunnings will provide you with the instructions you need. 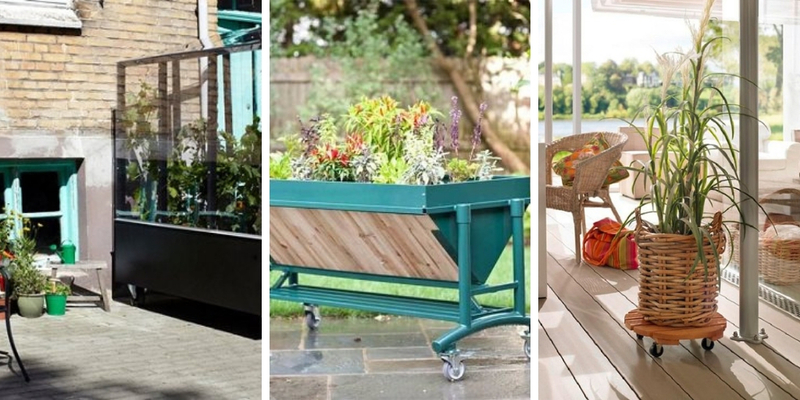 Planter caddies are the best way to create an extremely alluring and ornamental mobile planter. 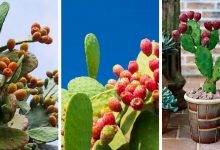 Most people usually plant them with decorative plants such as succulents. 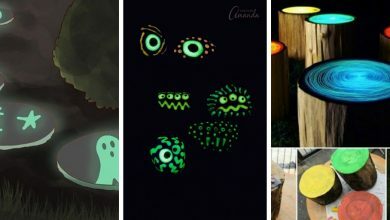 They are a perfect decoration for balconies, rooftops, and patios. 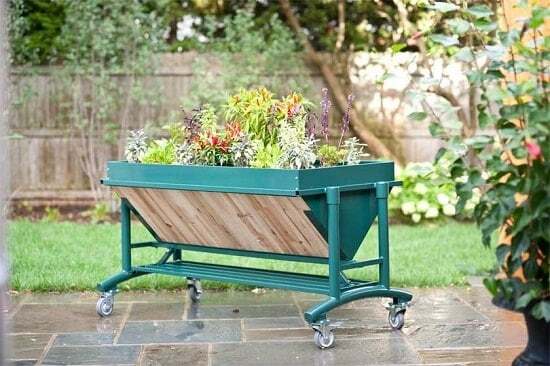 This alluring mobile raised bed garden will be an extremely lovely addition to any yard. It looks sophisticated and expensive. Besides, it is large enough to hold many plants. 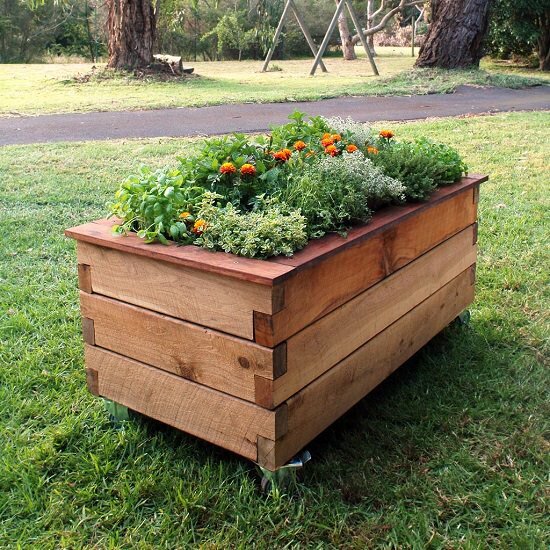 This exceptional raised bed planter is made of old shipping pallets and casters to rend it moveable. Check out this link for more details about this amazing planter. This one of the most wonderful DIY mobile garden ideas. 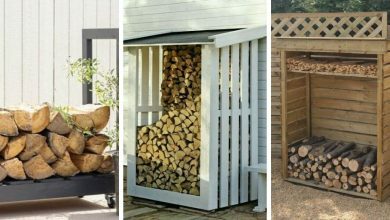 This project idea requires certain DIY skills to be achieved. We have taken this idea from a Dutch website. If it appeals to you, go ahead and check the full tutorial. The tutorial is in Dutch, thus, you will have to translate it yourself. 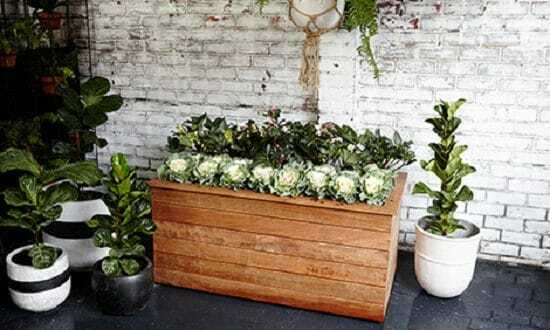 Wooden boxes can be easily transformed into moveable planters. They are actually a very ideal choice. It is quite simple to build them and they look attractive. 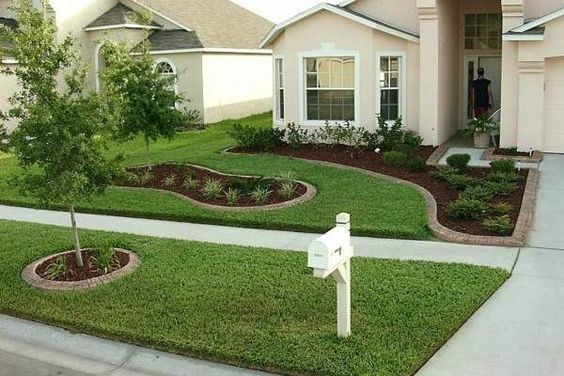 They will add interest to your dull landscape. 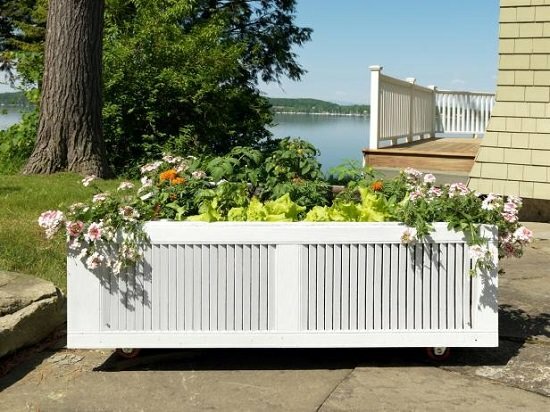 This is surely one of the most beautiful DIY mobile garden ideas. 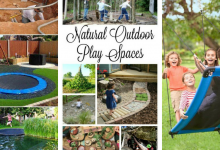 This idea will allow you to have an extremely beautiful and decorative mobile garden that will adorn your outdoor space and make it more appealing and attractive. 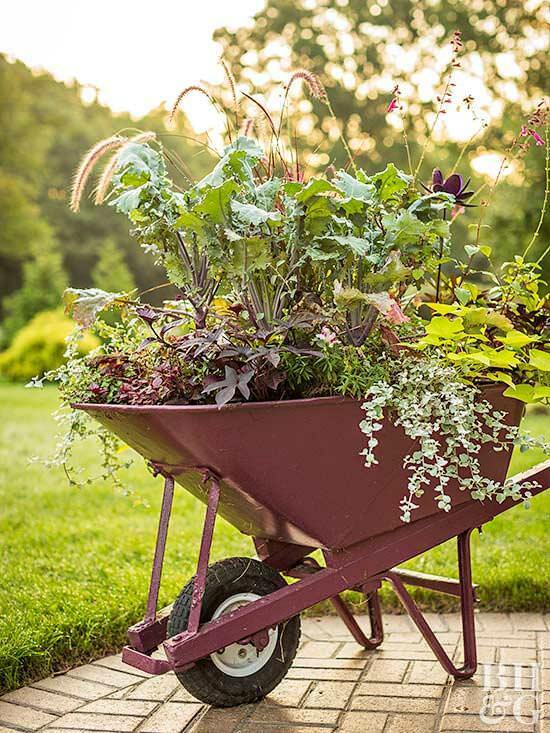 This wheelbarrow mobile planter is made of pallet woods. It is an easy DIY project that you can get it done in a weekend. For more details and information, please watch this youtube video. 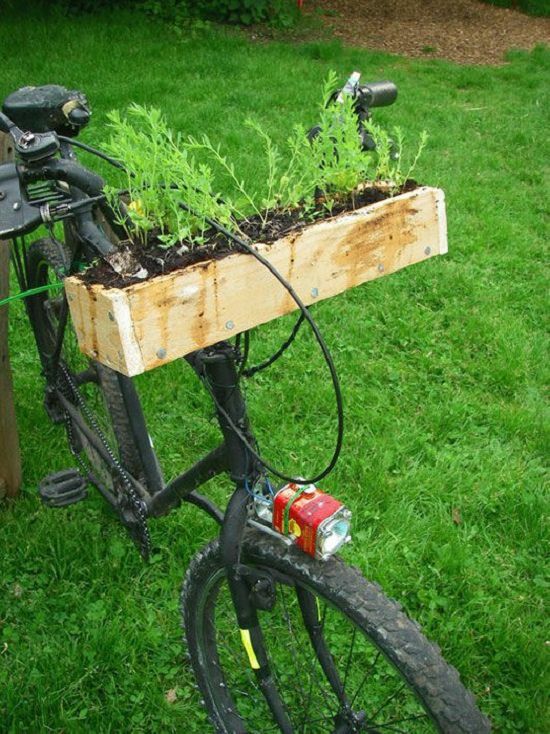 This is a splendid mobile planter. It is small, attractive and very beautiful. It can be used not only as a planter but also as a decorative item you can add to your landscape. This planter is suitable to grow both edible and decorative plants. If you want to duplicate it, you can find all the instructions you need here. 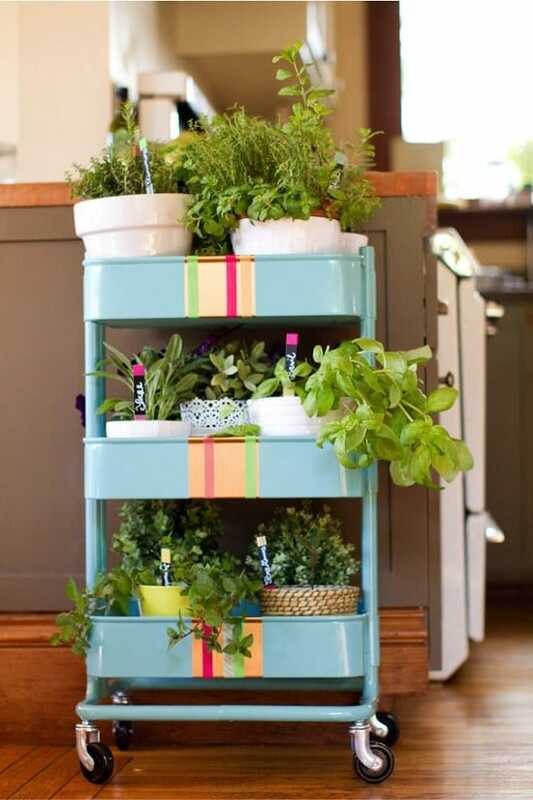 This is an excellent idea to transform a kitchen cart into an ornamental beautiful mobile herb planter. If you want to learn which herbs are best to grow indoors for this planter, you should read this article. 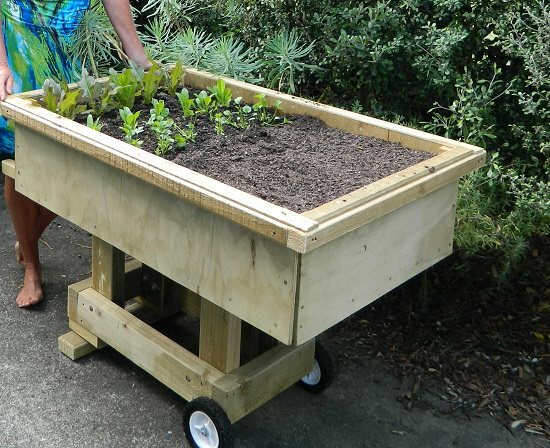 DIY mobile gardens are the best gardens for growing veggies. 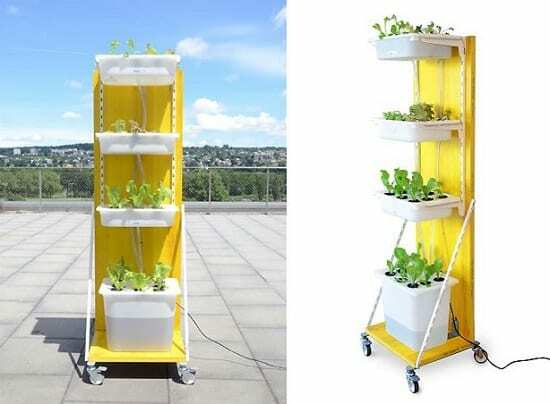 Vegetables require access to sunlight, with a mobile garden, you can move them to the sunniest spots in your yard. Thus, you will improve their productivity. If you wish to build this mobile planter, you will find the instructions at Instructables. 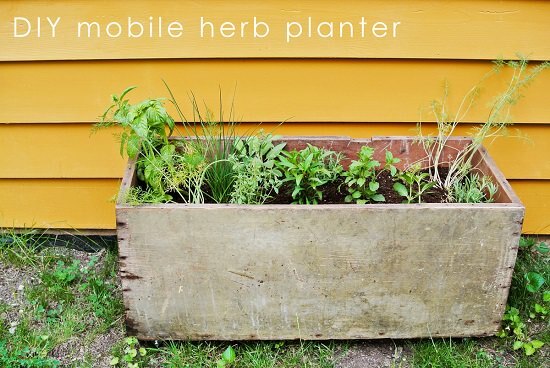 This is a functional DIY mobile planter that you can have it ready in a couple of hours. It is quite easy to build and it does not require much effort. Yet, it is very useful for growing herbs. If it interests you, here is the tutorial for it. 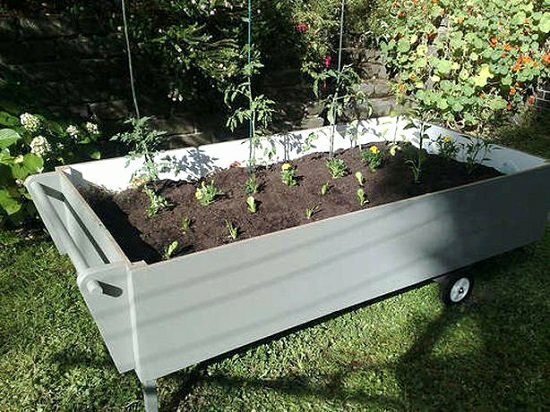 This is not the most practical DIY mobile garden idea but it made it to the list because it is certainly one of the most bizarre DIY mobile garden ideas. It is an off the grid way to attract attention to your garden. You can use old discarded shopping charts as DIY mobile gardens. They are cheap and they make functional gardens. 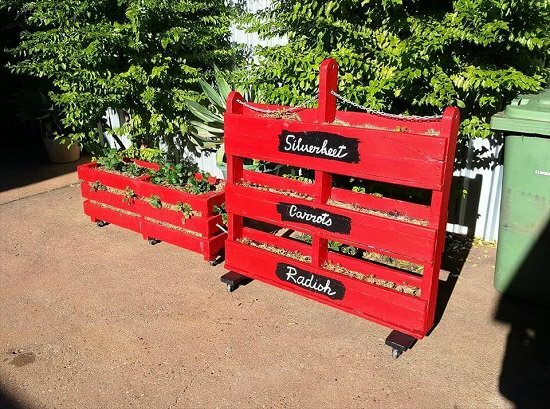 You can find out more about this DIY project at Urban Gardens. This is a very beautiful and alluring mobile garden. This garden is suitable to grow a variety of plants including cucumbers, eggplant, peas, corn, and much more. Besides, as it is demonstrated in the picture, it is very ornamental too. 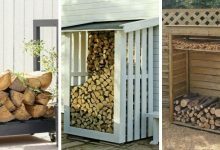 It will make your outdoor space more attractive and pleasant. Indoor hydroponic gardens are very popular. They are not messy, they don’t include dirt and it is easy to grow plants in them. Besides, they are productive. If you want to have a beautiful indoor hydroponic garden, you better check out this post. 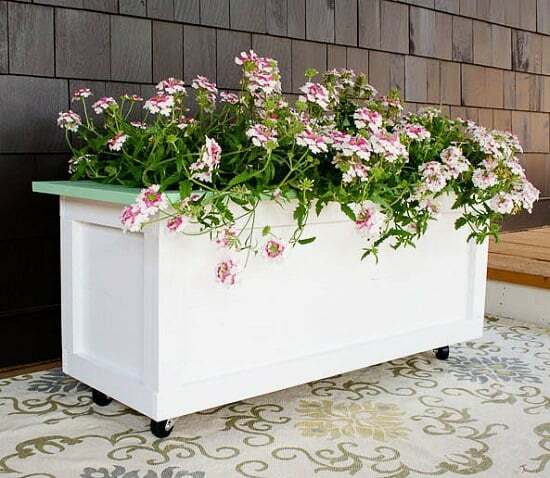 Container gardening is considered one of the best types of gardening. 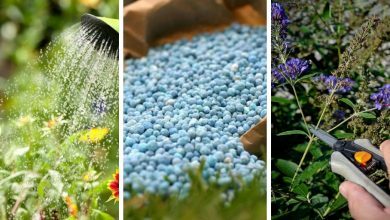 It is decorative, productive and most of all it makes caring for your plants easier. It is always nice to have a container garden especially when it is moveable. 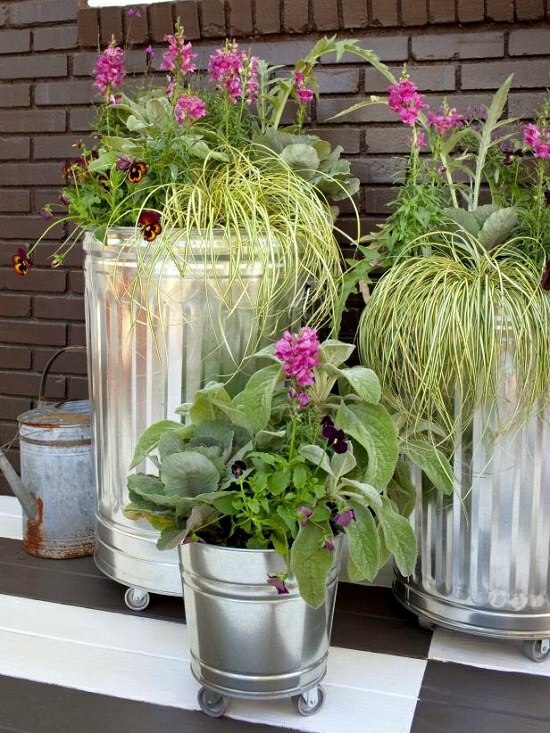 There are a lot of materials that you could use to build a mobile container garden including galvanized metal trash cans and casters. To learn more about this DIY project, visit HGTV. 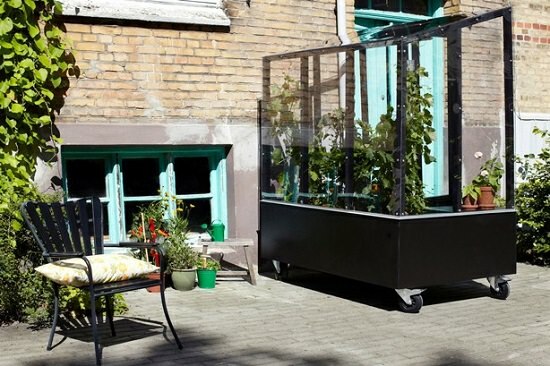 This is another beautiful mobile container garden. 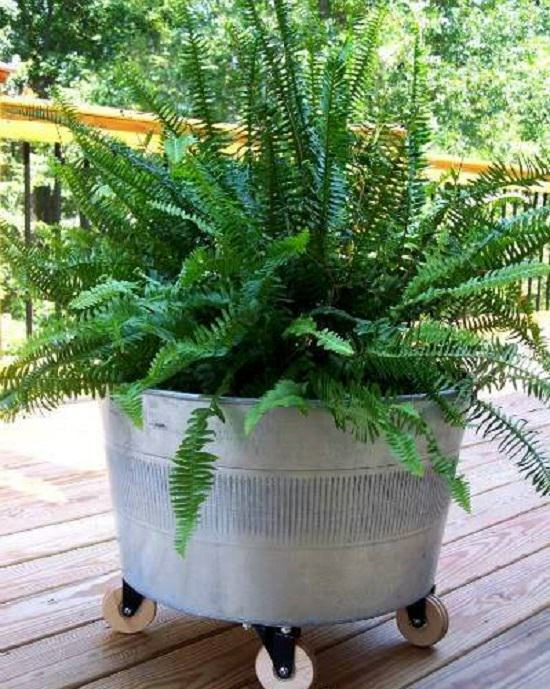 It is one of the easiest DIY mobile garden ideas. 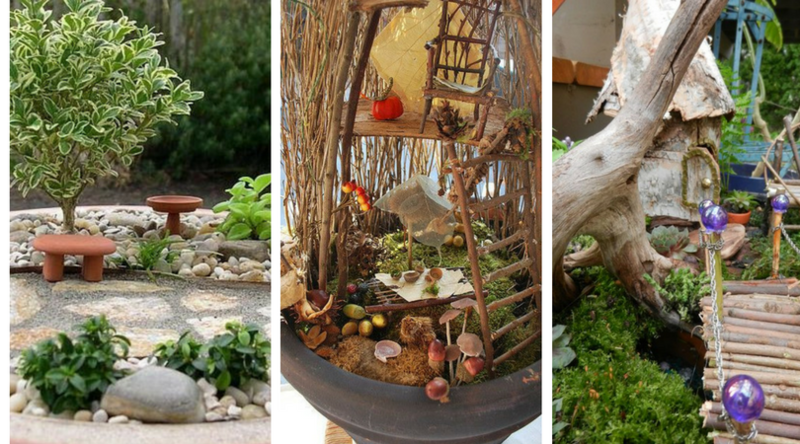 Follow this tutorial and you will have this small cute mobile garden in no time. Pallets are very useful and versatile. You could use them to build a lot of DIY projects including mobile gardens. For illustration, the mobile garden in the picture is made of pallets. 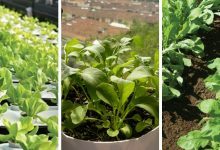 It is beautiful and it is suitable to plant a variety of plants such as greens, radishes, and carrots. This is a very stylish and decorative greenhouse. It is also very functional too. 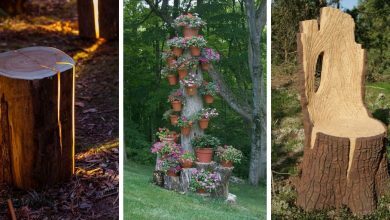 These are the most attractive DIY mobile garden ideas. 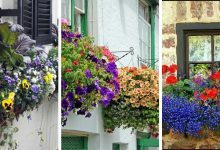 These ideas will allow you to have a moveable decorative garden. Besides, they are all inexpensive and easy to duplicate. Enjoy!